Houzz Features Two Structures Custom Homes! If you have searched the internet for great home design ideas recently, you have no doubt come across Houzz, an incredible website that allows users to create idea boards to gather favorite photos and find building, architectural, and design professionals. Here at Structures, we love Houzz and think it’s a great tool for collecting ideas when planning to build your custom dream home! Another unique feature of the site is a huge vault of “stories” written by professionals in the industry. These stories give design advice, offer ideas about a particular area of the home, and include photography from Houzz profiles. Structures has recently been included in two of these stories! Read the full Houzz story HERE! And this beautiful foyer in Mt. Pleasant’s Old Villagewelcomes you to a stunning custom home designed by Herlong & Associates and a sweeping view of Charleston Harbor! 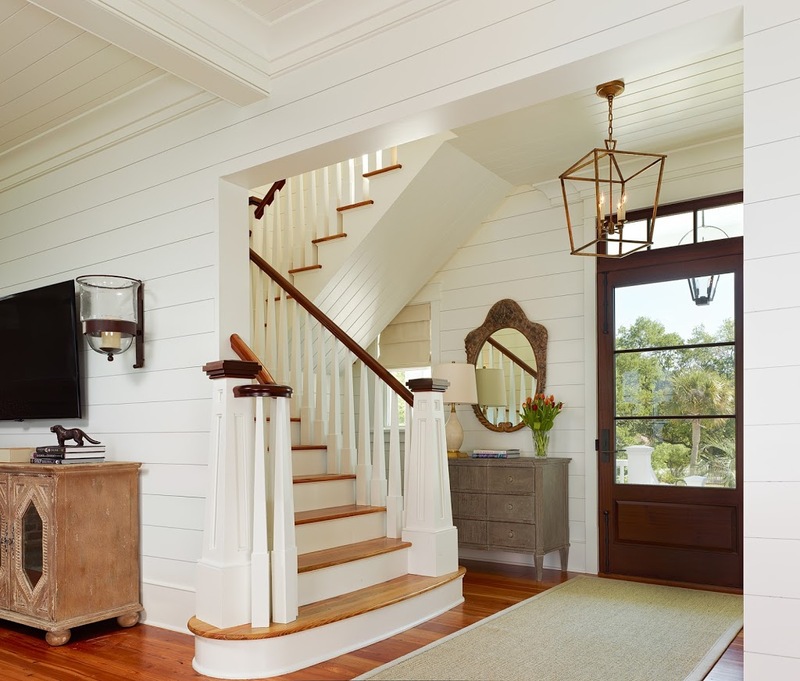 The story in Houzz pays special attention to the dramatic entry lantern that defines the space. If you’ve never visited Houzz – sign up for a free account and be sure to check out the Structures profile!